Google combines the the first and last names into one “Name” field. For example, if you had a contact record with a first name of “Bob” and last name of “Smith”, Google will combine that into Bob Smith. Android phones (like Droid, Nexus One, CLIQ, etc.) also do this. 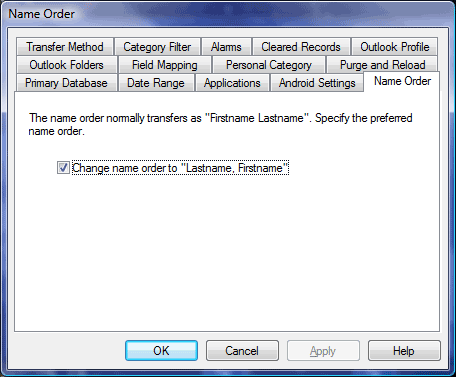 But what if you need to sort by “last name, first name” format? CompanionLink has a new Name Order feature that addresses this with Google and Android-based phones. Users can choose which format they’d like contacts to appear on their Android phone. This entry was posted in CompanionLink Products, Tips and Tricks and tagged android, google, name order, sort by Rushang. Bookmark the permalink.